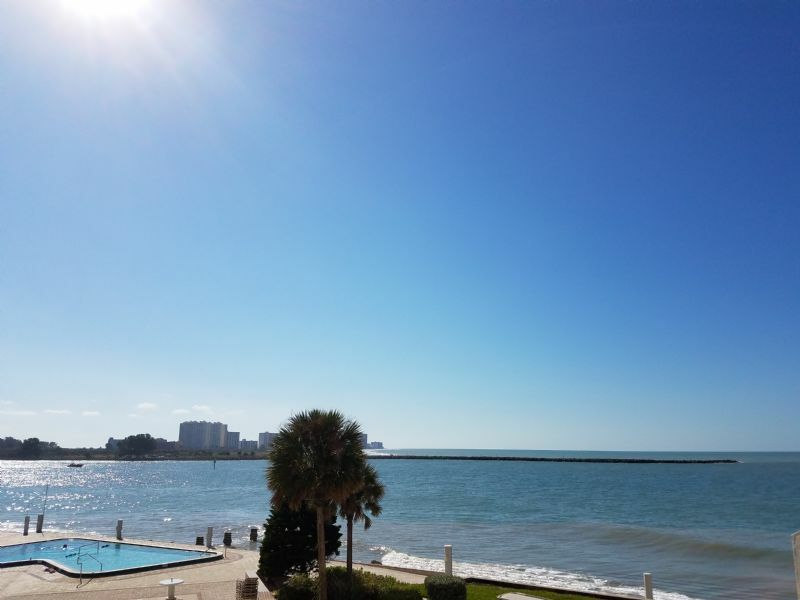 Take in the views while relaxing in this luxurious 440 West Condo with 2bd/2ba located in the heart of Clearwater Beach providing direct access to shops and restaurants. The unit has a luxurious tropical feel with high end furnishings. The master bedroom has a king size bed while the guest room has 2 full beds. Enjoy spectacular Florida sunsets from the comfort of your own private lanai, take a stroll along the Gulf, play outdoor shuffleboard or lounge pool side during your tropical getaway. Wi-Fi and free long distance calling in the US and to Canada. 30 day minimum and no pets. Parking space included.